A Positioning Map is a great tool to set yourself apart from your competition and to determine where competitors are lagging behind when looking at what is important to your ideal customer. A Positioning Map can represent products and services together. This permits one to compare and contrast these two items in relation to one another. The main strength of this tool is to help in making a decision on a competitive position that enables you to distinguish your products from the offerings of your competition. 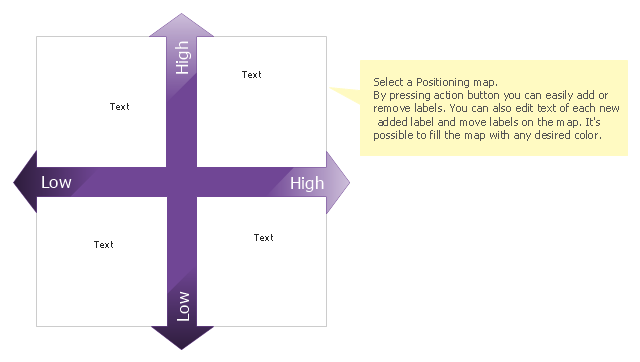 The use a Positioning Map will help you build a strategy that gets you closer to your target.